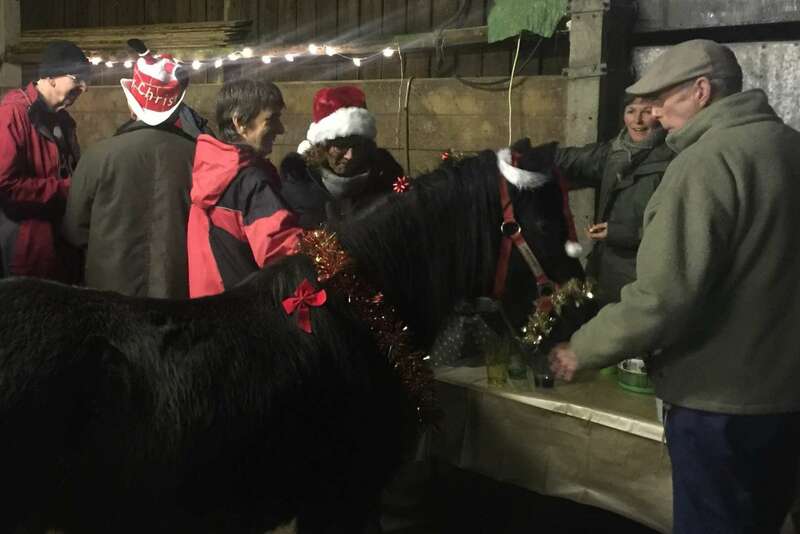 2018 Development Fund winners Horsemanship for Health invited friends to a Christmas carol service with a difference. On a dark midwinter night, lanterns were lit along the lane to their HQ near Newton Abbot. 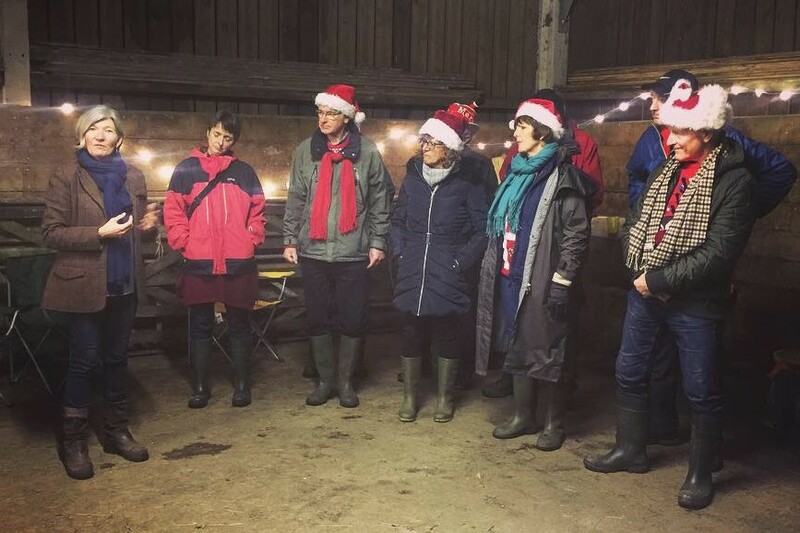 Fairy lights lit the barn where supporters, friends, and ponies gathered to pause amidst the busy lead-up to the festive season and celebrate a successful year. Belinda Seward described 12 months in which the group has gone from strength to strength, helped by Recovery Devon’s investment. The initial pilot with Langdon Hospital has since led to an ongoing collaboration, and had further attracted a research proposal from the University of Exeter. 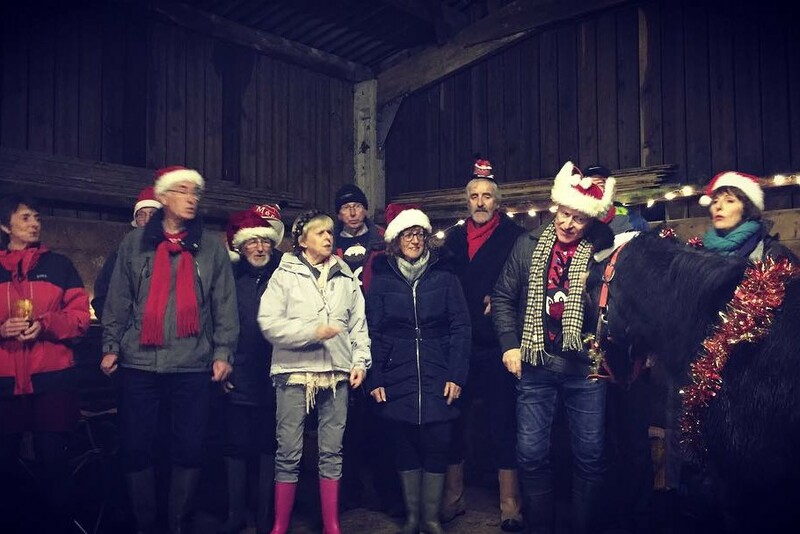 Local singers “The Crew Mates” sang a cappella in perfect harmony and led the whole barn in carols, with pony Rose wandering over to investigate the music – and the bar! Congratulations to everyone at Horsemanship for Health on your year of success. We’re delighted to have played a part in helping your service evolve. ← Riding the Storms - hot off the press!